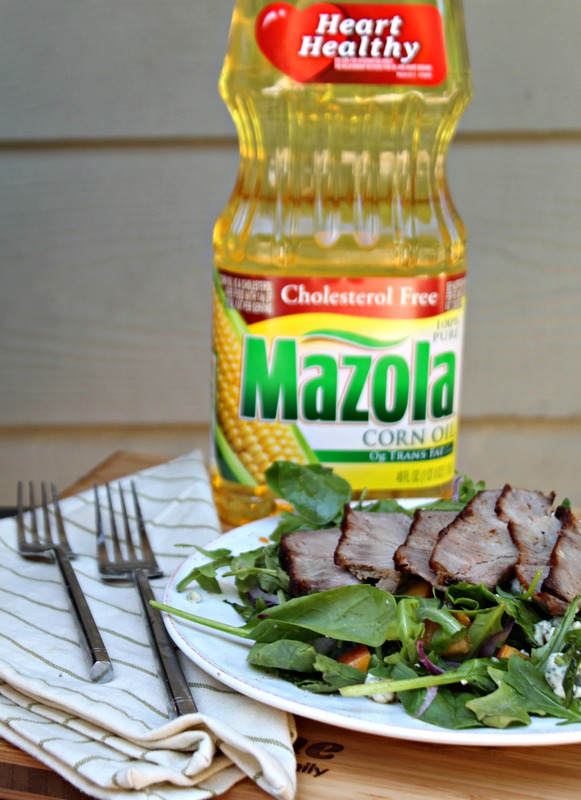 What exactly is Mazola Corn Oil? It’s an all-purpose cooking oil that is a smart heart-healthy choice for your family. You can use it in a variety of ways including: baking, grilling, sautéing, and making marinades or dressings. It has a neutral taste as well, so it allows the natural flavors of your food stand out. Mazola also has a higher smoke point than a lot of other cooking oils. What does that mean? Cooking oils each have what is called a smoke point, and once exceeded, it can negatively affect your food’s flavor and nutritional value. 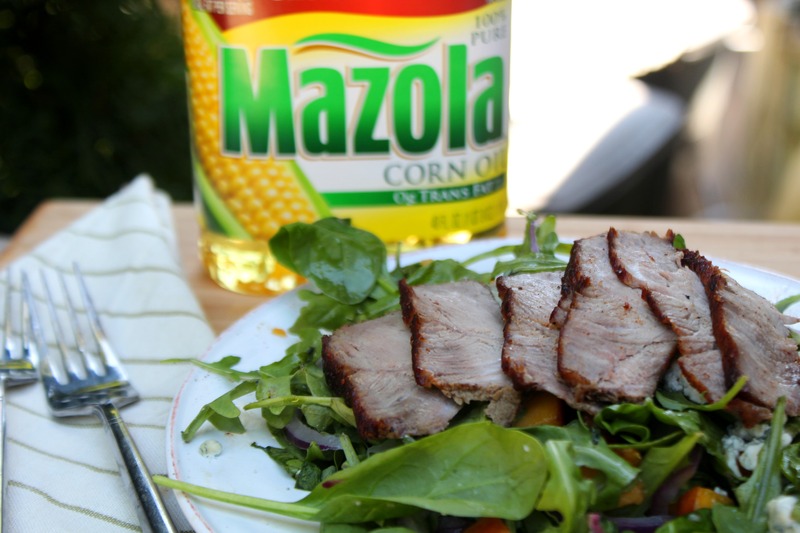 Mazola Corn Oil has a smoke point at 450°F, so it works great for stir-frying, grilling, baking, etc. 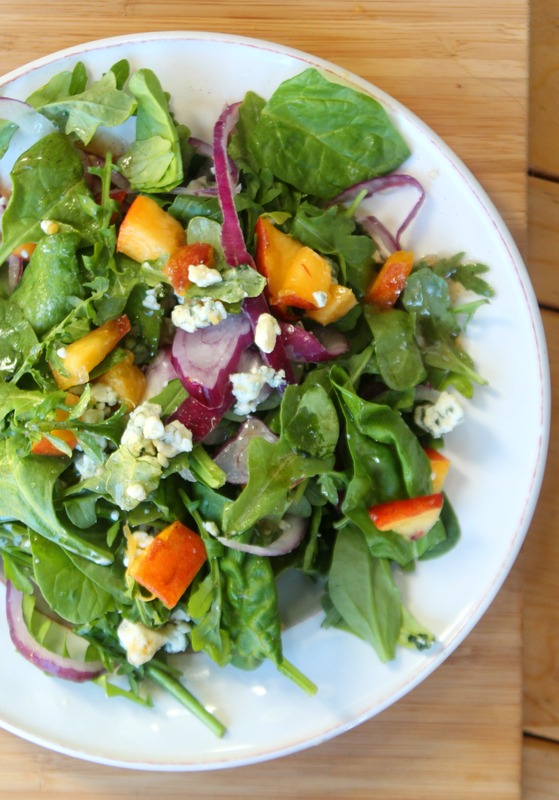 What I absolutely love about this salad is all of the delicious flavors that are combined together. You get sweet, savory, as well as a good variety of textures – and it takes less than 30 minutes to make. 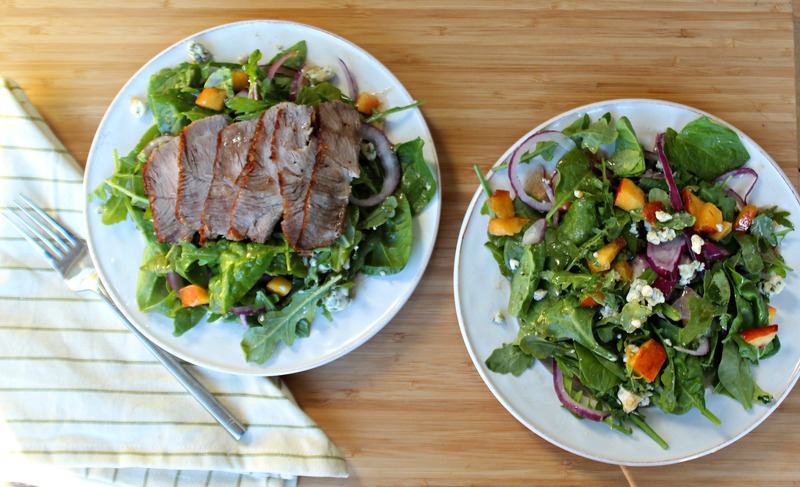 I used a 50/50 combination of baby spinach and arugula, which combined has more flavor and nutritional value vs. using iceberg lettuce. 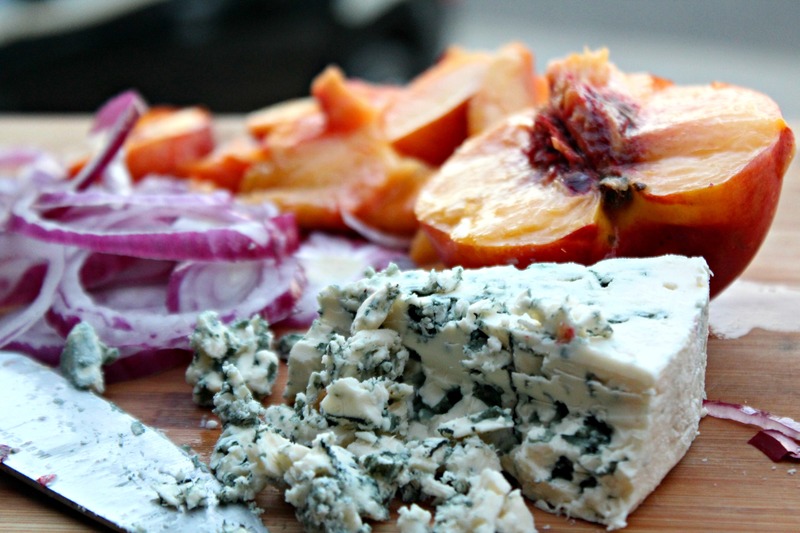 I then thinly sliced half of a red onion, crumbled some blue cheese, and diced a ripe nectarine. I used the red onion instead of a yellow onion because I felt the flavor paired better, plus red onions have more antioxidants than yellow onions do! Lastly I cooked a lean steak and made the honey vinaigrette by combining the Mazola Corn Oil, honey, paprika, garlic powder, and juice from 1/2 a lime. I love using honey, rather than granulated sugar, as a better-for-you sweetener. Sear and cook the steak in a frying pan until well done. Set aside to cool. 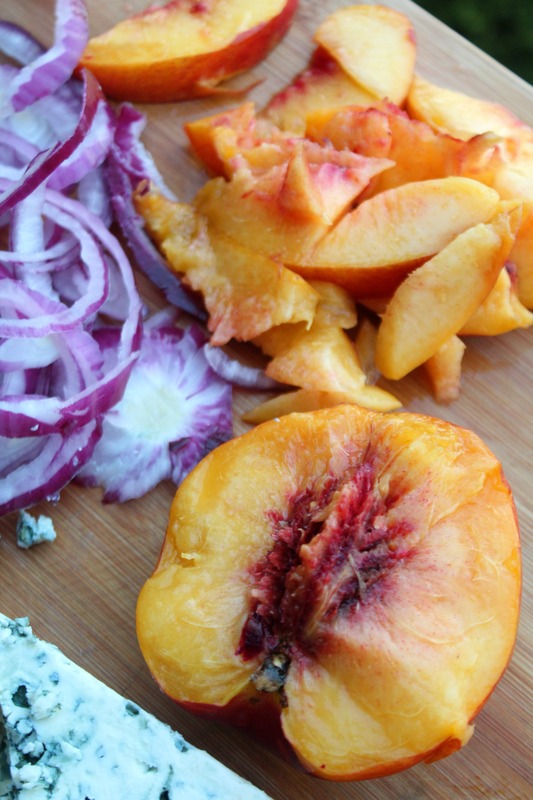 Thinly slice the red onion and dice the nectarine. 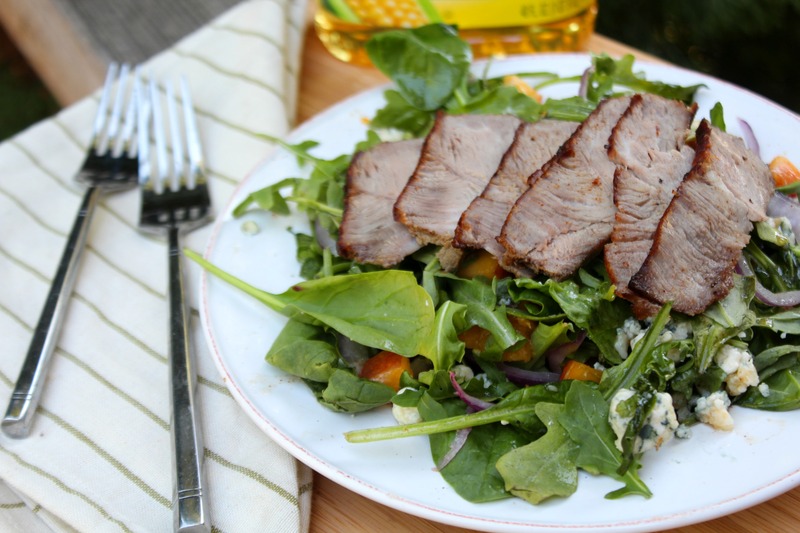 Place in a large bowl along with spinach and arugula. Crumble blue cheese and combine. In a small bowl whisk together the Mazola Corn Oil, honey, paprika, garlic powder, and lime juice. Just befor serving add vinaigrette to the salad and toss together until combined. 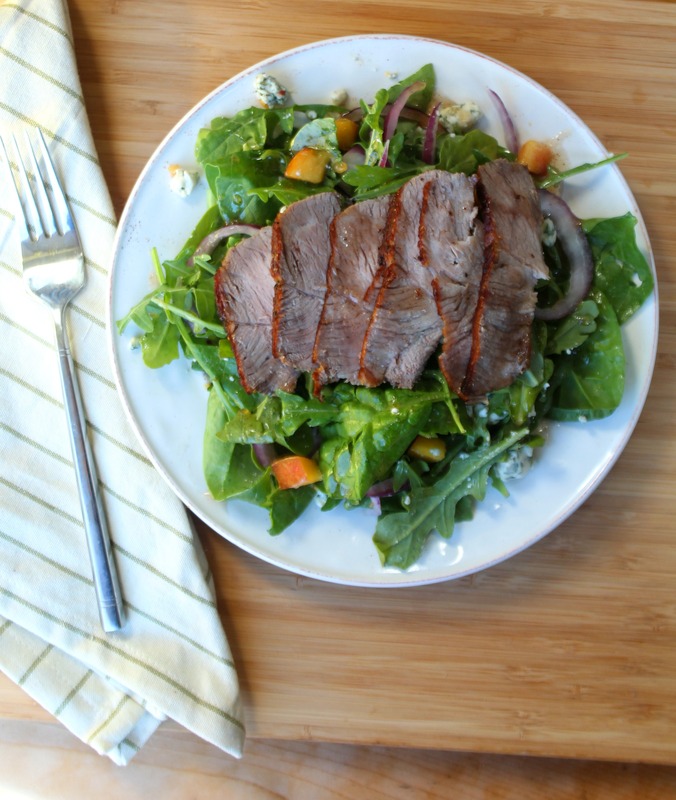 Plate the salad and top with thinly sliced steak. 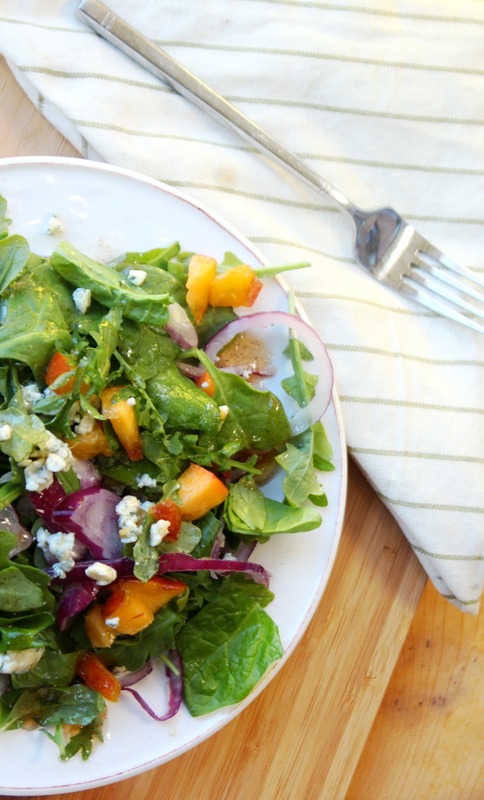 What are your favorite salad flavors? Do you make any of your own vinaigrettes? 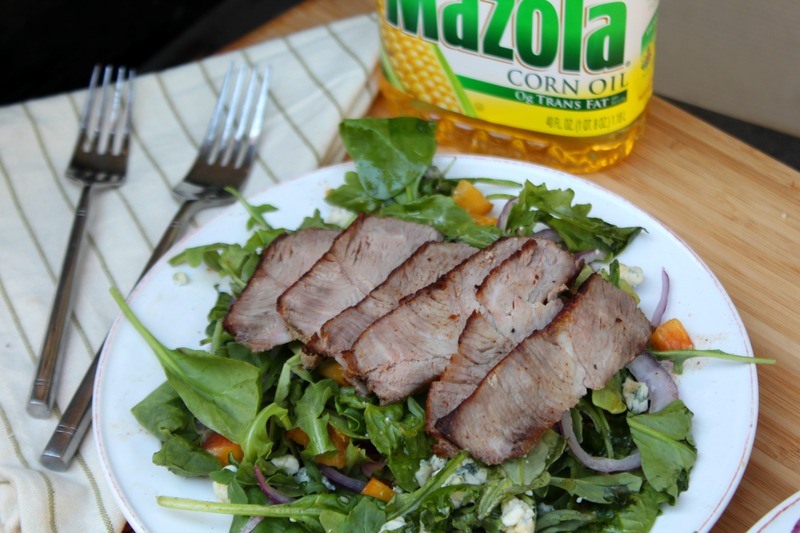 Next time pick up a bottle of Mazola Corn Oil and see just how delicious your dressing will be!